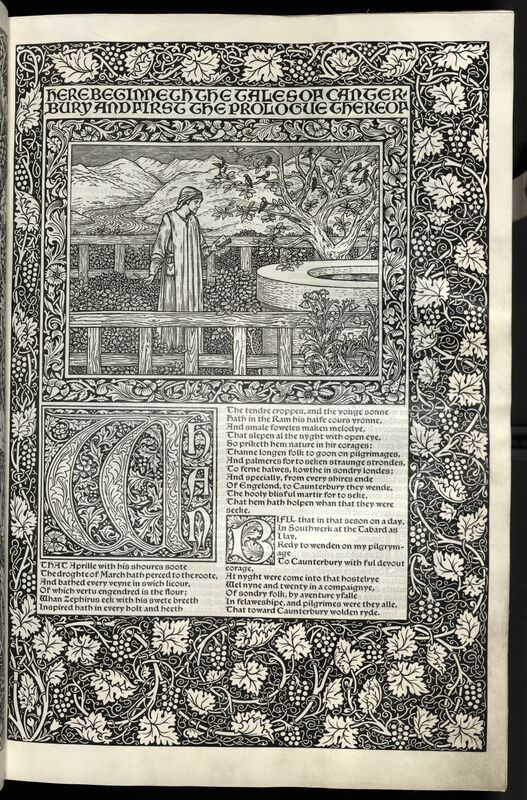 The iconic Kelmscott Chaucer—this copy being one of only three printed on vellum and bound in full pigskin—is the crowning achievement of William Morris and Edward Burne-Jones’ ventures into book production. As a practicing artist, I’m fascinated by recreations of historical artistry. Reinterpretations always speak to the values of the interpreters: through their Kelmscott press, Morris and Burne-Jones reject industrial-era values by elevating their vision of medieval craft. This book reminds me that I, too, carry my values with me whenever I engage with the past.